The 2019 Chevrolet Silverado 1500 LD is the third-generation 2018 Silverado that was originally launched in 2014. 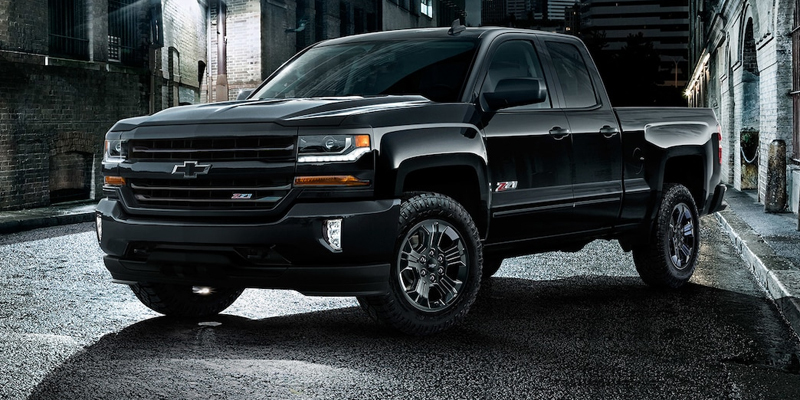 It has been rebranded as a “light-duty” model and remains on sale alongside the other 2019 Silverados, which received a redesign for the fourth generation. The 2019 Silverado 1500 LD is basically the same vehicle as the 2018 GMC Sierra 1500 and competes against light-duty work trucks like the Ford F-150 XLT. The Silverado 1500 LD is built on GM’s K2 platform. The 2019 Chevrolet Silverado 1500 LD starts at $34,500 plus a $1,495 destination charge. The top-of-the-line Z71 trim starts at $45,495 plus a $1,495 destination charge and can reach $52,330 before dealer-installed accessories. There was no 2018 Silverado LD model, but the 2018 Silverado 1500 HD (which became the 2019 LD) started at $28,300 plus a $1,495 destination charge. The 2019 Chevrolet Silverado 1500 LD is available in four trims: WT, Custom, LT and LT Z71. The range-topping LT Z71 trim comes equipped with 18-inch bright-machined aluminum wheels, all-terrain tires and a chrome lower bumper appearance. All models come with a three-year/36,000-mile vehicle bumper-to-bumper limited warranty and a 5-year/60,000-mile limited powertrain warranty. Four-wheel drive is available on all trims. The base WT trim comes with 17-inch painted steel wheels and all-season tires and Chevy’s CornerStep rear bumper. The size of the 2019 Chevrolet Silverado 1500 LD depends on cab and bed configuration. The smallest model is the Regular Cab with a 6-foot-6-inch bed, which has a 119-inch wheelbase, a 205.5-inch overall length and an 80-inch width. The largest model is the Crew Cab with a 6-foot-6-inch bed, which has a 153-inch wheelbase, a 239.6-inch overall length and an 80-inch width. The only engine available in the 2019 Chevrolet Silverado 1500 LD is a 355-horsepower 5.30-liter EcoTec3 V8, which produces 383 pound-feet of torque. The LT Z71 is not available with two-wheel drive. The 2019 Silverado 1500 LD uses a six-speed automatic transmission. Maximum towing capacity for a 2019 Silverado 1500 LD is 9,400 pounds. EPA fuel economy estimates for the 2019 Silverado 1500 LD are 15 mpg in city driving, 22 mpg in highway driving and 17 mpg combined. All 2019 Chevrolet Silverado 1500 LD models are equipped with standard airbags, including dual-stage front airbags and seat-mounted side-impact airbags for the front seats and head-curtain airbags for front and rear outboard seats. Teen Driver and a rear-vision camera are standard. Limited available safety equipment includes OnStar connected services. An engine-block heater is available for all trim levels. The standard infotainment system uses a 7-inch diagonal color touchscreen and a six-speaker audio system. An 8-inch color touchscreen and a CD/MP3 player are standard on the LT and LT Z71 trims. Both systems are Bluetooth-, Apple CarPlay- and Android Auto-compatible. A USB port and an auxiliary jack are both standard. SiriusXM Radio and a 4G LTE Wi-Fi hotspot are available options. The 2019 Silverado 1500 LD offers a 110-volt AC power outlet in the WT Convenience Package. Remote start, a remote locking tailgate and rear-park assist are available. A leather-wrapped steering wheel, remote keyless entry and steering wheel audio controls are standard on the LT and LT Z71 trims. A 10-way, power-adjustable driver’s seat with power lumbar support is available on the LT and LT Z71 trims.